AARP’s March 2016 Bulletin has an article entitled “20 Ways to Declutter Your Home” by Marni Jameson. I agree with most of the suggestions, but I cannot support one of them in any way. Tip 2 is about love letters. This is what it says: Keep them if they’re yours. But if they’re your parents’, they’re not really yours. They’re part of a romance between your parents, never meant for you. Burn them ceremonially and send the love back into the universe. I am speechless. There isn’t even a suggestion to digitally save them before burning them like the author advises about photos and important papers. The second part of this page and the first part of the next (below) gives a hint that my grandfather wanted to talk marriage with my grandmother. I have the letters sent between my grandparents before they married, about 15 of them. Letters that my cousins and I cherish. 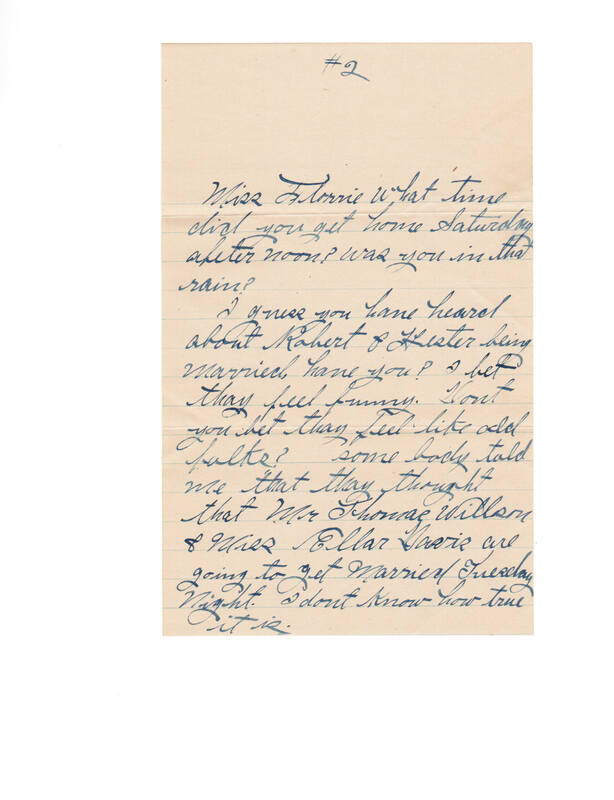 These letters give a glimpse of my grandparents’ lives at that time in history, and of their personalities, my grandfather being more stoic and my grandmother being more carefree. They are a family treasure. They are part of our family’s history. 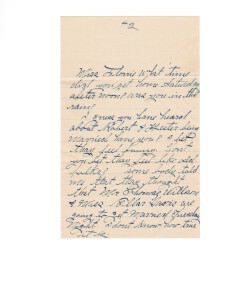 If you must discard old love letters, at least save them digitally first. Someone in the future will cherish them. Someone will read them and smile. Someone will be thankful you did. Thank you so much for this!!! At the time I read that in the AARP magazine I thought the same exact thing. 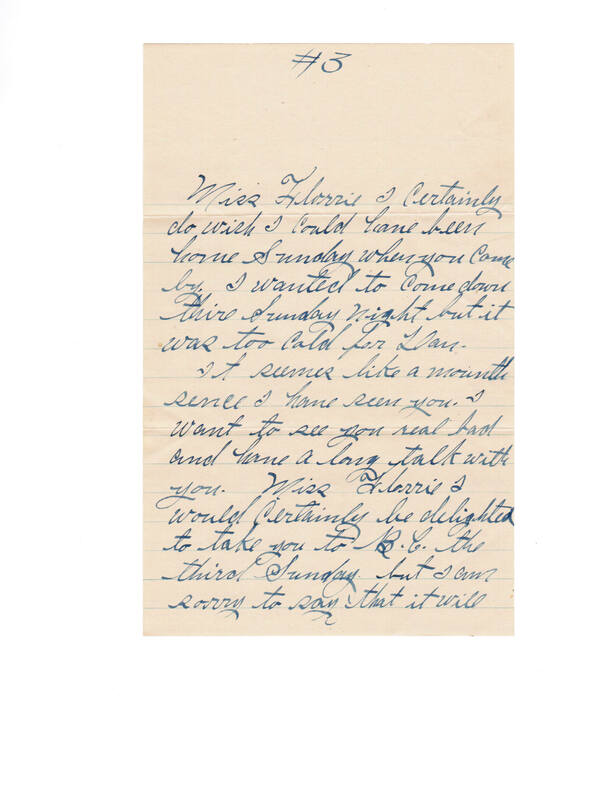 My current project is transcribing all the letters my mom and dad wrote to each other when they were “courtin'”! I wouldn’t throw them away for the world! I knew they had them and they promised they would save them for me, IF I didn’t read them until they were both gone. What treasures I’m uncovering as I read these letters. Dede, Thanks for commenting. 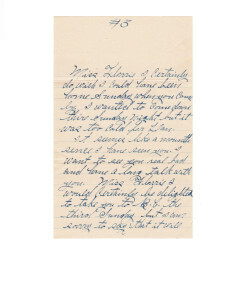 I bet those letters bring a smile to your face as you read and transcribe them. What a wonderful heirloom to have for future generations. They are treasures and I think it’s great that you have them. I have letters from grandma and wouldn’t think of throwing them away. I know people throw away stuff like old letters all the time, but I can’t imagine doing that. I agree with you. I have only one or two from my great grand parents and I read them often just to get a feeling of what it was like to live in their lifetime.